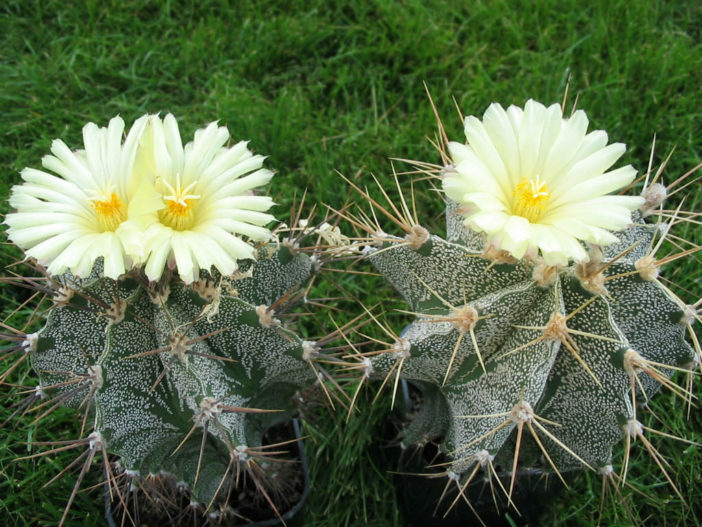 Astrophytum ornatum is the largest and tallest species of Astrophytum. 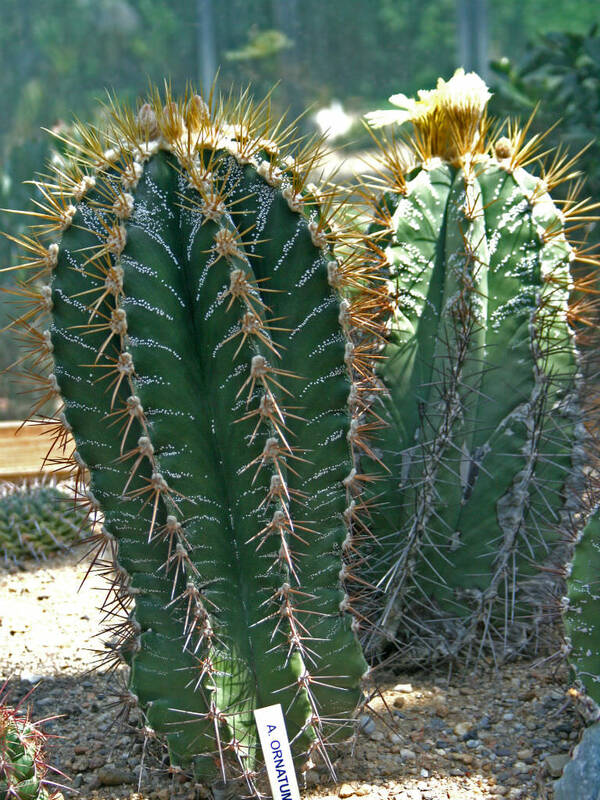 Solitary and cylindrical in form it may grow up to 6.6 feet (2 m) in height and up to 1 foot (30 cm) in width. It develops numerous white woolly flakes for protection from the sun. It flowers throughout the summer. 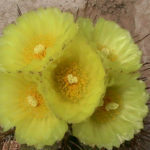 Flowers are canary yellow and up to 3 inches (7.5 cm) long. Astrophytums are not vigorous plants and they require a lot of patience to reach their full potential. Keep regularly watering and feeding them during the growing season and repot annually to give them space to develop. They need a temperate, dry winter as well, and make sure not to overwater them to avoid rotting their roots. If given sufficient care, they will develop marvelous flowers once they reach maturity. 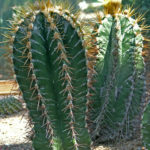 Watch out for common cactus pests like aphids and scale, as well—these can often be taken care of by a good eco-friendly pesticide, or simply wiped away with cloth. Repot regularly to help them develop. 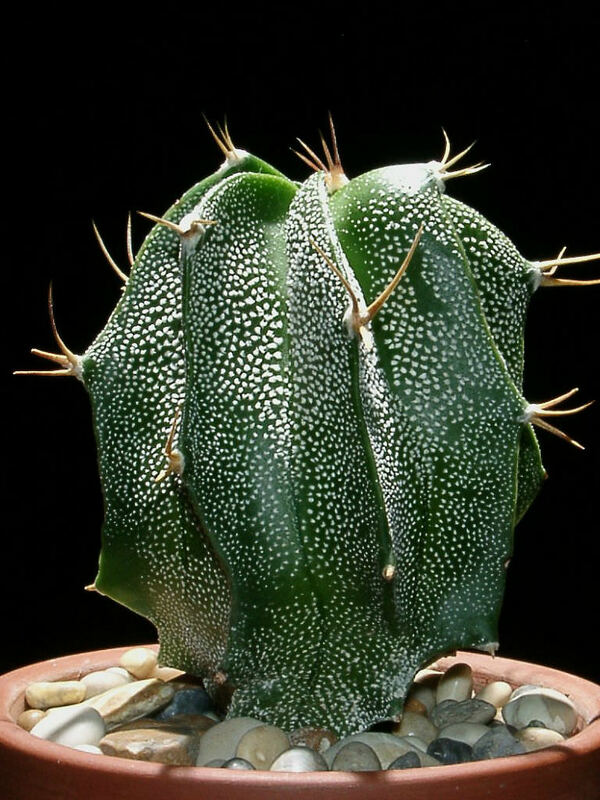 Astrophytums should be repotted at the beginning of the growing season for best results, allowing them to grow into the impressive specimens for which the genus is known. 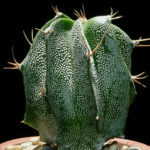 Protect your hands before repotting due to their stiff spikes and lift the plant out all at once, then replace in a larger pot and backfill with soil… – See more at: How to Grow and Care for Astrophytum. 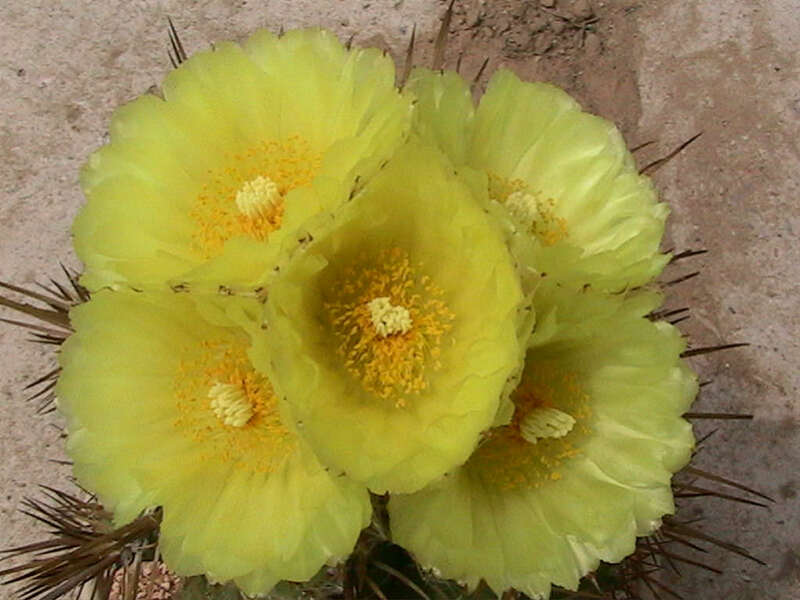 Endemic to the Central Plateau of Mexico.